Comodo's award-winning free antivirus provides unbeatable protection from every type of malware. Lightning fast cloud scanner blocks malware even if you don't have the latest updates. Blocks ransomware and zero-day threats by locking them in a secure container where they cannot infect your computer. Antivirus software is a computer program which is designed to detect, ward off, and remove malicious codes such as virus, worm, Trojan, Malware, etc. Today, computer users are well aware of the benefit of installing antivirus software on their computers. Everyone installs an antivirus program to keep the online risks at bay. How Antivirus Software Protects Your Computer Against Malware Attacks? The antivirus software thoroughly checks every downloaded file. Be it a Word document, a ZIP file, a spreadsheet or EXE file, the chances for a virus or macro to launch on a computer when the file is double-clicked is high. It is the duty of the antivirus software to make sure that all the downloaded files are safe. If any suspicious files or activities are found, it flags it and lets the user know immediately. 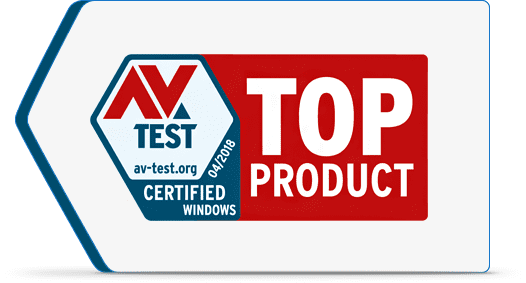 AV-Test Certifies Comodo Internet Security Premium 10.1 As "Top Product"
Our Internet Security Premium product is one of the top rated products based on the Feb, 2018, AV-TEST report. You are now guaranteed with complete protection against all types of malware and a secure environment for carrying out your banking, shopping, and other online activities. As a "Top Product", Comodo Internet Security Premium 10.1 auto protects against phishing and malicious websites in all browsers. It also monitors the activities of processes running on your computer and sends you alerts if they take actions that could possibly become a threat to your privacy. Are you burdened with security issues on your machine with Windows 10? Comodo anti-virus for Windows 10 is at your service to defend you against malware attacks that are newly designed to infect Window 10 OS. Protect your machine from getting infected with our efficient anti-virus that strongly stays one step ahead from security threats. "Comodo Antivirus is the free way to rid your computer of viruses, malware, Trojans, worms, hackers, and other Internet threats." "Good results in independent lab tests. Good score in hands-on malware blocking test. Includes hardened browser, virtual desktop, sandboxing." Comodo Antivirus is an essential tool for every computer user. Comodo's free virus removal software provides the best protection from malware instances, virus infection and suspicious hidden files. It is a reliable, cloud-based protection that scans quickly and updates continuously to include the latest malware information from around the globe. 'Unlike other anti-malware products, Comodo protects you against unknown threats that have not even been identified yet by security experts. This is because only unknown files are automatically placed in a sandbox and only verified files are allowed to run your system. How Comodo Antivirus Software Works? Comodo Antivirus uses a unique multi-layered approach to protect your computer from malware. Known malware are identified using a "blacklist" signature file and deleted or quarantined. Known valid files are identified as safe using a "whitelist" of valid files and run safely. Intrusion Detection and Behavior Analysis (Heuristics) are used to identify potential threats from other files and deal with them. Any file not verified as safe will only run in a safe isolated system area called the Sandbox where it can do no harm to your files or operating system. All that for free, plus a user friendly interface. You can also upgrade to our subscription version and receive world class customer support and the industry's only virus free guarantee. Don't just take are word for it. We are the winner of the CNET Editor's Choice Award and has been rated Perfect for Protection by the independent test lab AV-Test Labs. How does Internet Security Suite differ from conventional anti-virus and firewall combo? Internet Security Suite is a comprehensive package of Internet and computer security protection that includes Comodo's award winning anti-virus and firewall with advanced data packet filtering technology. Unlike the free editions from other vendors, it is fully functional and not time limited. The suite will defend your PC and private data from all potential threats found in the online universe. Securing your computer with the right tool is vital to enjoy hassle free computing experience. You can also upgrade to the advanced Comodo Internet Security for Windows Pro to obtain our virus-free guarantee and unlimited live virus removal services. Comodo Secure Shopping provides unbeatable security for online banking and shopping sessions by running your favorite browser inside a security-hardened virtual environment which is isolated from the rest of your computer. This creates a threat resistant tunnel between you and your target website which cannot be attacked by other processes running on your computer. Secure Shopping also features memory-scraping prevention, remote takeover protection and independent SSL certificate authentication to deliver the next-generation of security for online transactions. What makes Comodo Antivirus for Windows better than other suites? 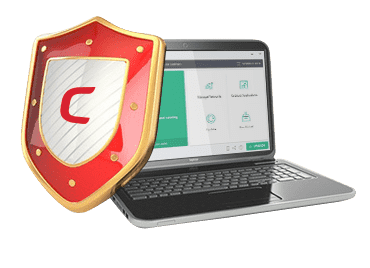 Comodo Anti-virus for Windows utilizes the core features of virus cleaner and firewall combined with and Auto Sandbox technology. Comodo is the only vendor who provides these trademark features to offer best protection. The Windows AV program also uses Default Deny protection which prevents virus infection by allowing only authorized programs to run. Defense+ defends against malicious threats while Sandbox mode runs suspicious files in an isolated environment to secure system registry. Are programs stored in Sandbox forever? No. The auto sandbox mode is a temporary virtual system environment created to test run files and programs before they access your original operating system, files and registry. Comodo Internet Security for Windows offers a feature to send suspicious files to Comodo AV labs for detailed analysis. Safe and authorized programs are added to the whitelist while threats join the blacklist of programs. The sandbox is recycled and ready to perform a new set of operations after completing each task. Can business users make use of the free version? Yes, it is possible. However, to get comprehensive protection for a large network of computers and to secure important valuable data, we recommend Comodo Endpoint Security Manager (CESM). Can I customize installation to choose either firewall or anti-virus? Yes, it is possible. However, to get comprehensive protection for a large network of computers and to secure important valuable data, we recommend Comodo Endpoint Security Manager (ESM). How does Sandbox technology work and how does it protect me? 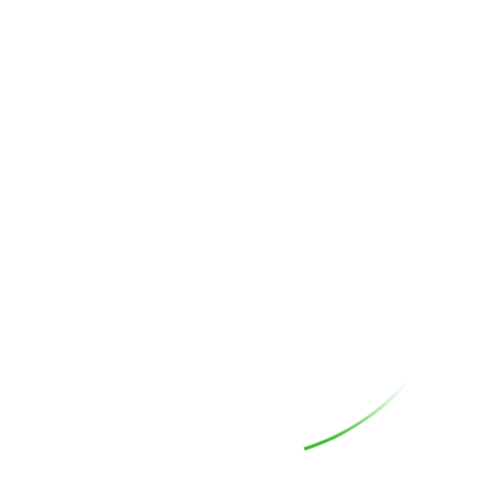 Auto Sandbox technology is an exclusive feature of Anti-virus for Windows. Comodo Internet Security for Windows comes bundled with the feature which creates an isolated, virtual system environment where all suspicious files and programs will be executed in trial mode before being granted access to your actual system. This prevents any virus or bug from modifying, corrupting or deleting actual data in your computer. The innovative feature provides stronger protection than traditional AV and any malicious files found will instantly be added to the blacklist. Will programs run properly in Sandbox mode? Yes. The Sandbox is a virtual, isolated extension of your actual desktop integrated with Anti-virus for Windows. Every suspicious file or program will be executed in this mode with a limited set of privileges. It will be tested thoroughly and confirmed safe before it is granted access to the actual registry. The analysis runs in the background without interrupting your daily activities. Safe programs are given permission while virus, bugs or trojans are permanently denied access to your PC. Get unlimited chat support through Comodo GeekBuddy service to help you solve issues 24/7. Find GeekBuddy icon on your desktop shortcut or access it through the user interface. Get your questions answered by experts through our official Support Home Page. Get comprehensive solutions to your product related or technical questions by submitting a ticket under "Internet Security Support" category. Talk to a customer service agent now. For technical support, call .... To know more about the product, get in touch with the sales representative @ .... Keep your order information or subscription number handy to avail prompt service. A comprehensive digital guide includes useful tips on how to configure products and more information on the technical aspects. Meet fellow Comodo users and developers in this online community dedicated to help individuals share technical knowledge in a friendly environment. Forum and knowledgebase provide you the quickest way to find answers to your questions. Comodo AV labs is dedicated to identifying potential threats and to isolate safe files from malicious programs. You can submit here to contribute to this growing network which strives to create the most up-to-date virus definitions. Send any suspicious virus, trojans, bugs or false positive files to us for analysis. Join our list of trusted vendors and be a recognized firm in the whitelisted category. We display your programs and applications as safe to use. To sign up to our trust vendor initiative, click here. Get concrete knowledge on latest threats online and identified malicious programs. Download the complete Windows anti-virus database published by Comodo AV labs which lists all recently added, new and modified entries to the virus definitions. Users can also use the database to manually update offline entries. Why Internet Security is Essential Today?